Ken Ertel started in 1952 by Ken Ertel himself. As time went on the company grew and Ken hired on some family members. Randy Privatt being one of them. Randy worked for Ken approximately 25 years learning and working up the ladder of success. Dec 1999. Ken passed and the family approached Randy and asked if he would like to purchase the business. So in early 2000 we purchased the business and have continued our Commercial and Residential Services to K-W and surrounding area. 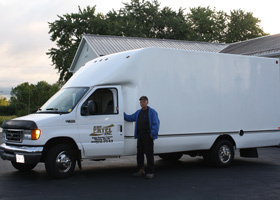 Ken Ertel Inc. offers a free, no obligation written quote, with friendly and reliable service. We are fully insured company. We are also proud members of The Chamber of Commerce and The BBB. Ken Ertel Inc. provides Commercial Snow Plowing and Removal Services 24 hours, 7 Day a Week during the winter snow season. We understand that not every company keeps the same hours so we can provide a custom solution to fit your needs. 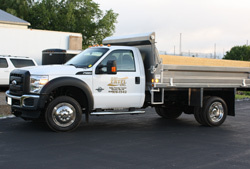 We pride ourselves in on-time, efficient snow plowing and removal services. 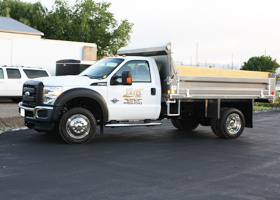 Safety on your premises both vehicle and client is our number one motivator when it comes to putting together a snow removal package for your company. We offer snow plowing and or removal of snow from all roads, parking lots, driveways and walkways that belong to your business. De icing using Salt or melting agents which are applied to designated areas than can become hazardous to pedestrians and clients alike. 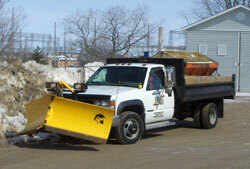 We have a legal off site location that we can safely remove the snow to if you require off-site snow removal services. Ken Ertel Inc has a team of experts specializing in exterior caulking to all building openings, saving you money on heating and costly repairs due to old and deteriorated caulking or sealants. A thorough caulking job will waterproof areas helping you avoiding rotting wood and sills, heat or air-conditioning loss putting money back in your pocket. 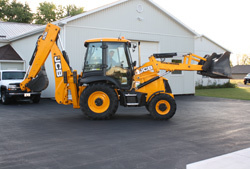 Masonry, concrete, brick repair or replacement, including foundation repairs and parging; Ken Ertel Inc's friendly knowledgeable staff has the equipment and know how to get the job done right. Do you have a leaky basement? Ken Ertel Inc. can eliminate your basement problems, wet basement walls, paint bubbling, using a dehumidifier to get rid of excess water and smell. 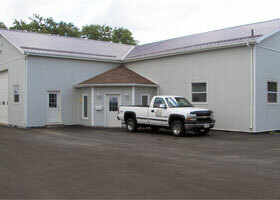 For all your commercial or residential construction needs let the professionals at Ken Ertel Inc. give you a free no obligation written quote call 519-576-7342 today and ask for Randy. Do you have a job that has been lingering or a new project you want to get at? Give Ken Ertel Inc. a call for your free no obligation quote ask for Randy. that you agree to provide to us. We will not share your information with any third party outside of our organization, other than as necessary to fulfill your request.